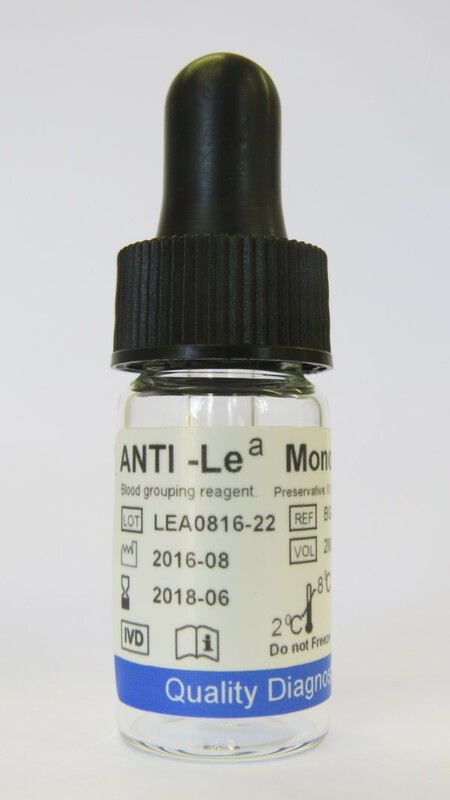 Anti Lea Monoclonal Reagent for the tube technique. These reagents are suitable for use with the tube technique to be performed by serological trained personnel. Rapid Labs monoclonal Anti-Lea blood grouping reagents contain mouse monoclonal IgM antibodies, diluted in a phosphate buffer containing sodium chloride, EDTA, bovine albumin and macromolecular potentiators. Anti-Lea is made with Clone LEA2. Each reagent is supplied at optimal dilution for use with all the recommended techniques stated below without the need for further dilution or addition.